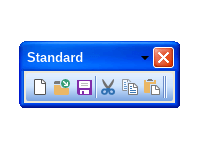 NOV Command Bars for WinForms is a flexible control for implementation of toolbars and button strips in your WinForms applications. The Command Bars consist of a gripper, pendant and an items collection. You can place any UI widget in the items collection of a command bar. 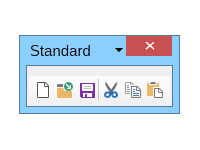 NOV Command Bars for WinForms supports toolbar personalization via the "Add or Remove Items" dropdown, just like in Microsoft Office. 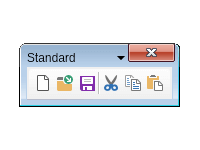 The buttons on the NOV WinForms Command Bar can be customized independently to either display text, image or both. 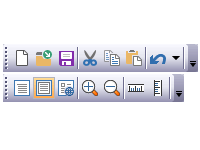 The items of the WinForms Command Bar can be any NOV widgets. 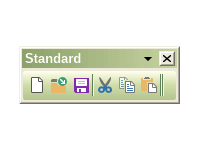 Different instances of NOV WinForms Command Bars can be moved, docked, and rearranged by the end user at run-time, just like in Microsoft Office. 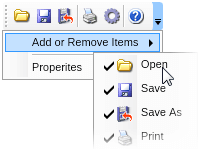 Floating toolbars are also supported. 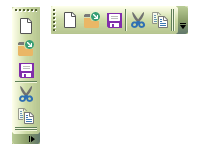 Command bars that reside inside a command bar manager can be floated, docked and redocked to different command bar docks. 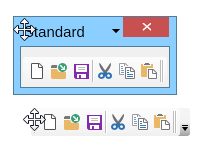 With NOV WinForms Command Bars you can easily have both horizontal and vertical tollbars. 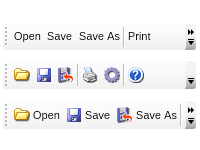 The orientation is automatically updated by Nevron, when the command bar is added to dock lanes. 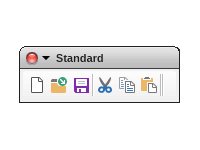 NOV Command Bars are styled with CSS. NOV initially comes with the following themes: Windows 8, Windows 7, Windows XP Blue, Windows Classic (with all color scheme variations) and Mac Lion.